I suppose that in 1890, ca 10 years after the final Russian annexation of Turkmenistan all the finer rugs are already either exported to Skt. Petersborg or on their way. 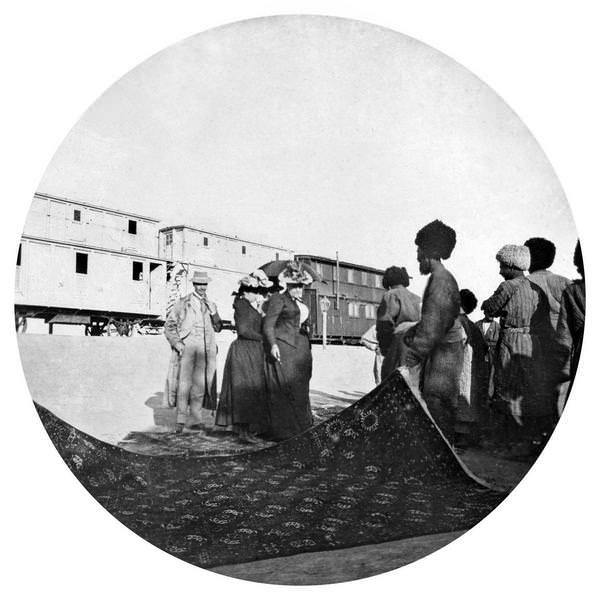 No doubt that the Turkmen in 1890 were poor and on their way to losing their weaving tradition. 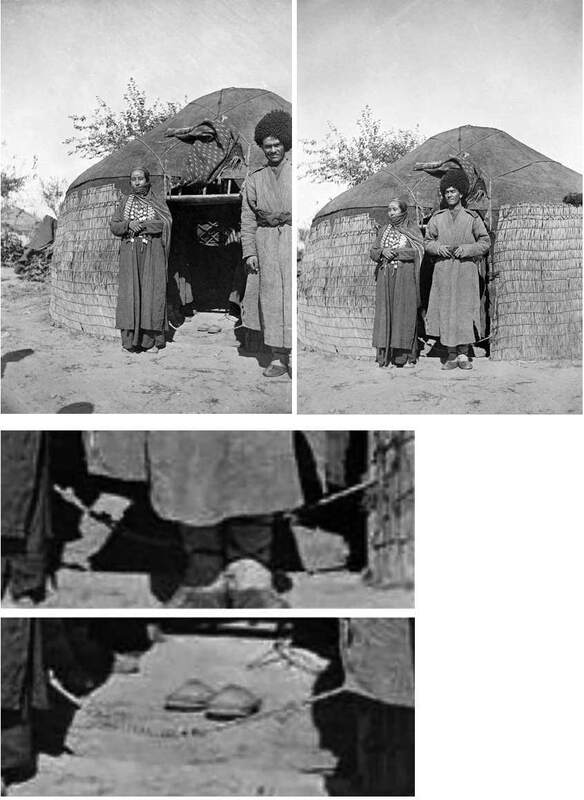 I think something like this is plausible: The Turkmens after their defeat being forced to a more sedentary lifestile, cheap building materials including wood coming in from north, making the wooden yurt door more common and perhaps even fashionable and desirable among the Turkmens, and the old rugs disappearing, including Ensis and Germechs. Nice find. One thing I'm struck by is how much taller than the doorways the people are. It surprised me - my thinking has been that most Asians were of short stature until after WW-II (the Japanese were, for sure). They must have been really good at bending over. Great pics, Martin. The second one seems to have a similar entrance covering textile to the first one, but thrown up on the roof in that case. It isn't familiar to me. Perhaps that was the daily item, and the ensi/germetch arangement was for special occasions, as you suggested. 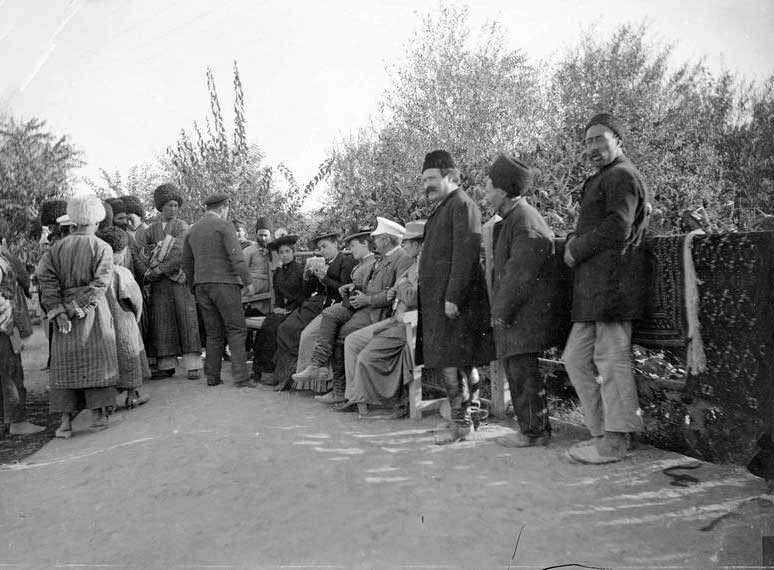 As to the height of the Tekke, we must keep in mind they were Turkic people, in contrast to many other Asian groups who might on average be shorter people. A few years back, I came across a feature in some Turkmen ensis that may encourage us to believe that at least some of these pieces were made especially for use as yurt door flaps: series of 6 to 9 overlapped knots at both ends of each knotted row next to the selvages—down the entire length of the rug. This extra density and bulk at the rugs’ edges would have strengthened such a piece in the areas where it was repeatedly grasped and pulled at if it was indeed used as a door flap. I have discussed this on one of my website WOVEN STRUCTURES UPDATES pages, and have a diagram there as well: www.marlamallett.com/updates.htm. This discussion is near the bottom of the page where Yomut and Saryk ensis are shown. Last edited by Marla Mallett; March 25th, 2018 at 12:01 AM. 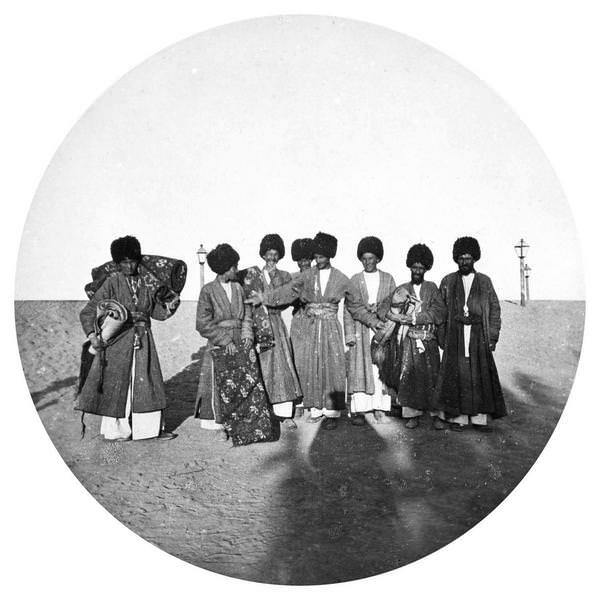 In 1879, O’Donovan was living in Gumush tepe, a Jafar Bey Yomud village on the shores of the Caspian sea. 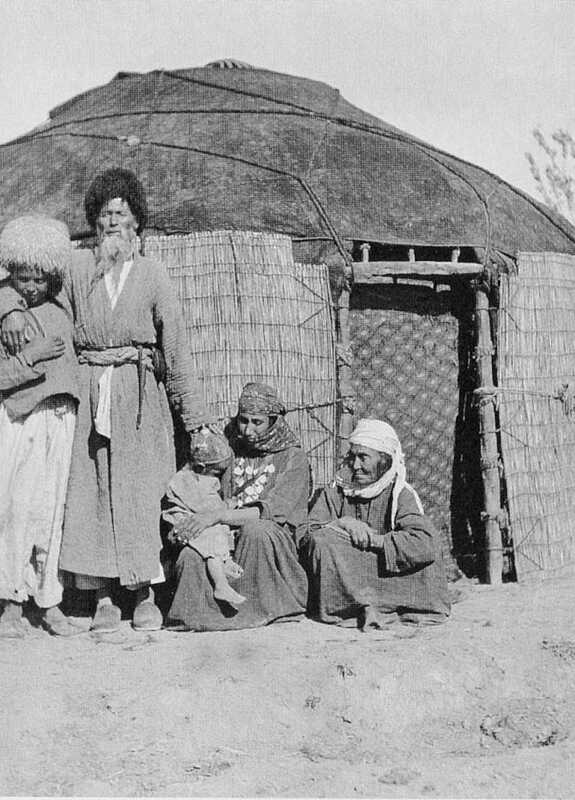 in 1879, the Yomud had already been beaten by the Russians and were their complacent allies, but the Akhal Teke- and Merv Teke tribes were still independent. To me, the use of rugs as door hangings, at such an early date seems to support the theory that this use was frequent and genuinely Turkmen. O’ Donovan again, but this time while he was living with the Teke Turkmen in Merv oasis. The Emir of Bokhara and his country. 1896-1897 and 1898-1899 visits.